So this step basically enables you to make calls out from your Blue.Box VIOP System. It’s quite easy and you will be up and talking in no time. As before, I have some numbered screen-shots for you below. Give the device a name. Extension for 2002 is good as it’s informative, assuming you’re going to give it the number 2002, which I am. Assign the device to whatever user it is for. 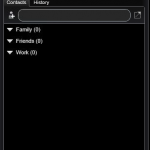 If you haven’t created any users yet, just use the default selected for now. Set the Context to In-House Only. Enter a Number, 2002 in my case. For Type make sure Internal is selected. Make sure In-House Only is Checked and Publicly Accessible is Unchecked. Set the Internal Caller Name to whatever you want. This is what will show up on other extensions caller id when this device is used. Set the Internal Caller Number to the number you’re going to give this device, in my case 2002. Set the External Caller Name to whatever you want on the Caller ID when this device calls a land line. 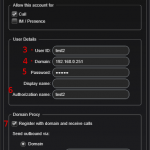 Set the External Caller Number to the number you want showing on the Caller ID when this device calls a land line. 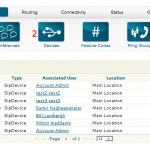 Set the SIP Username to what you want, remembering it so you can setup the device properly. Set the SIP Password to what you want, remembering it so you can setup the device properly. In Account Name put in whatever you want. I used my username. 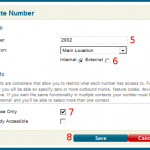 In User ID put in the Username from step 8 above. 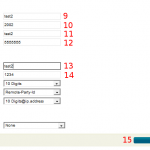 In Domain, put in the IP address of your VOIP computer. If you don’t remember it, look back to the final step of installing Blue.Box from the first guide. In Password, put in the Password from step 9 above. In Authorization Name, just put in the usename again. This may not be necessary. Make sure Register with Domain is checked. 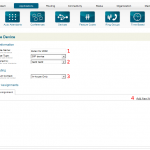 You should now be able to call out to any regular land line from your computer. Enjoy!